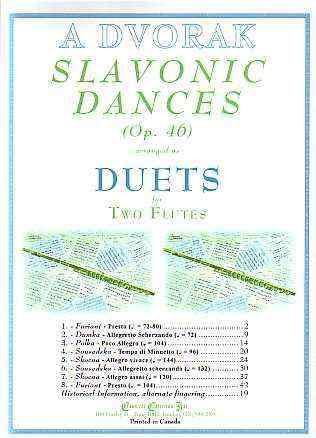 The Duet Books match the keys, tempo indications (with metronome markings), articulations, dynamics, measure numbers, etc., used in the Solo Flute, Clarinet or Saxophone books in Dvorak’s Slavonic Dances (Op. 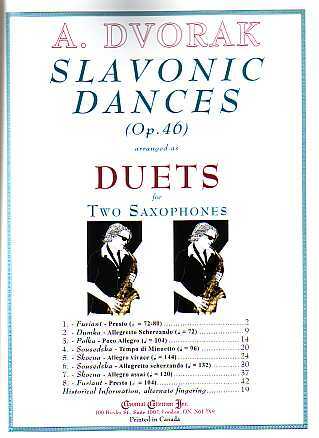 46) (visit this link for details on the history and background of Dvorak and Slavonic Dances, Op. 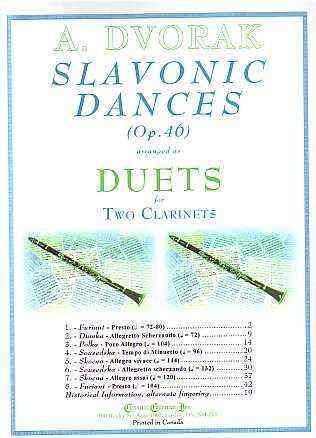 46).